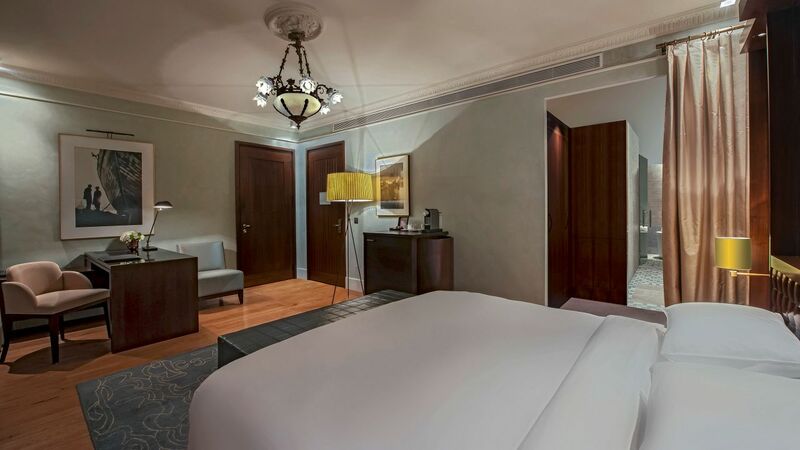 Enjoy panoramic views of the city and the Bosporus through floor-to-ceiling windows in the luxury guestrooms at Park Hyatt Istanbul – Maçka Palas. Choose one of our five suites furnished with a spa to enjoy a traditional Turkish bath experience in the privacy of your room. 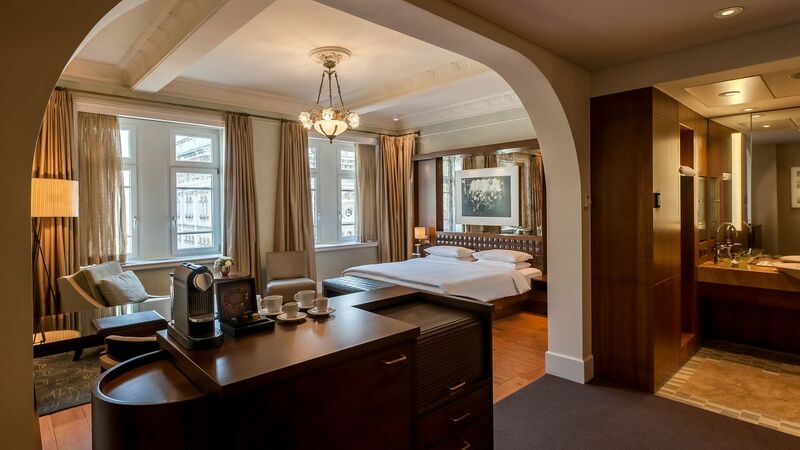 This top-floor corner suite features 250 square meters of space, separate living and dining areas, an oversized king bed, guest bathroom, minibar, and work desk. 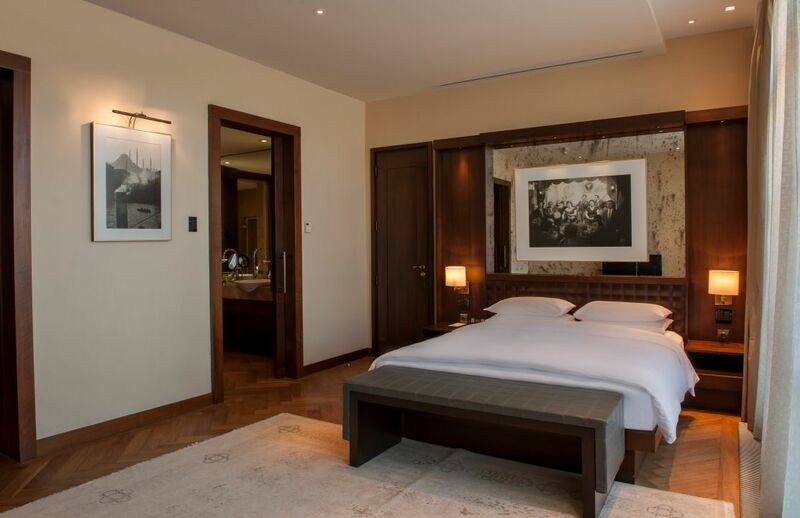 Floor-to-ceiling windows and a private terrace offer views of the city and the Bosporus. Relax in the full Turkish bath, outfitted with a steam room, deep soaking tub, Dornbracht rainfall shower, and refrigerated cosmetics cabinet. This is a premium suite. See World of Hyatt program terms for upgrade eligibility. 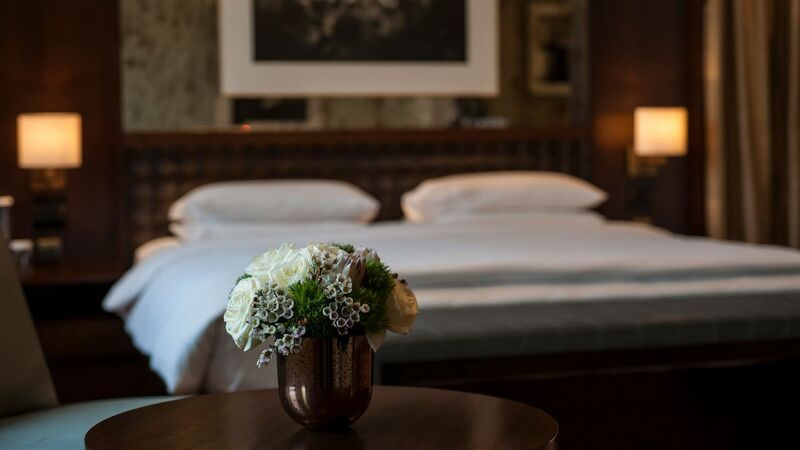 Revel in luxurious amenities in this 110-square-meter suite, such as an oversized king bed, work desk, separate living and dining areas, minibar, and a rooftop terrace. 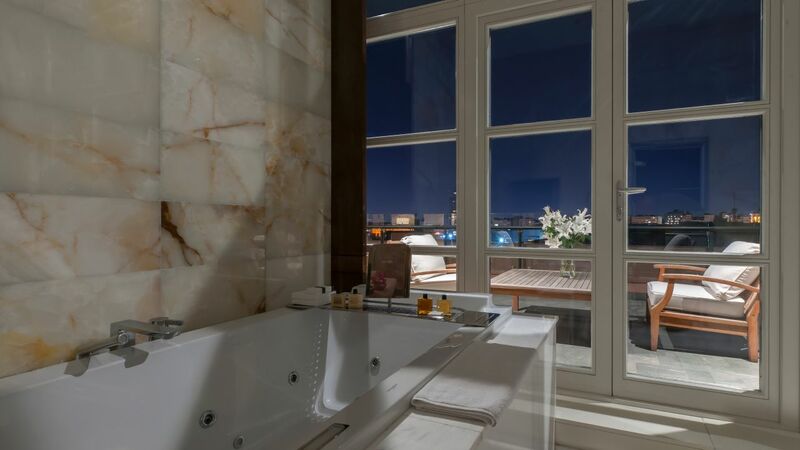 In the Turkish bath, enjoy the steam room, deep soaking tub, and Dornbracht rainfall shower. 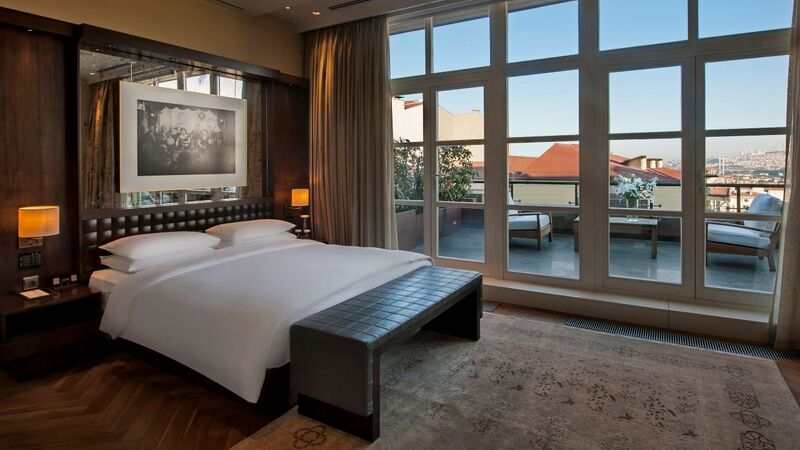 Admire city views through the floor-to-ceiling windows. This is a premium suite. See World of Hyatt program terms for upgrade eligibility. 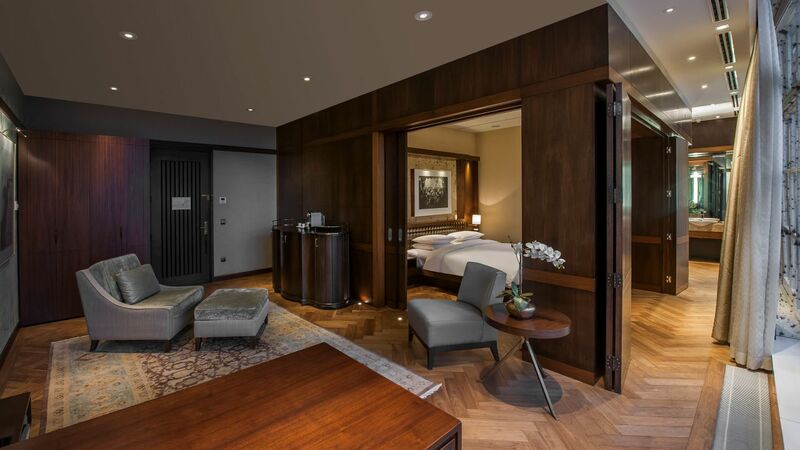 Inside this 8th-floor, 70-square-meter suite, you’ll find a king bed, work desk, minibar, separate sitting area, and floor-to-ceiling windows. The Turkish bath features a refrigerated cosmetics cabinet, deep soaking tub, and separate Dornbracht rainfall shower. This is a premium suite. See World of Hyatt program terms for upgrade eligibility. 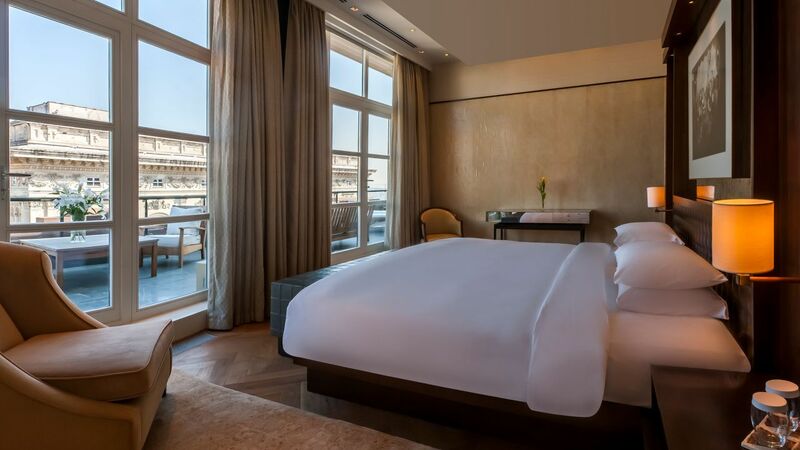 This luxurious 100-square-meter suite boasts a king bed, work desk, separate living area, guest bath, minibar, and a rooftop terrace with Bosporus views. An elegantly appointed Turkish bath features a full vanity, deep soaking tub, and Dornbracht rainfall shower. This is a premium suite. See World of Hyatt program terms for upgrade eligibility. 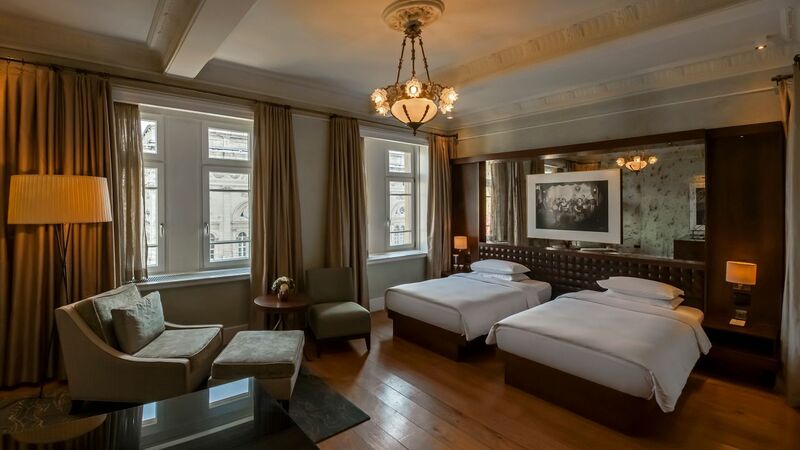 Unwind in 51 square meters of space in this stylish suite featuring a king bed, work desk, minibar, separate living area, and limestone bathroom with deep soaking tub and a walk-in shower. This is a standard suite. See World of Hyatt program terms for upgrade eligibility. 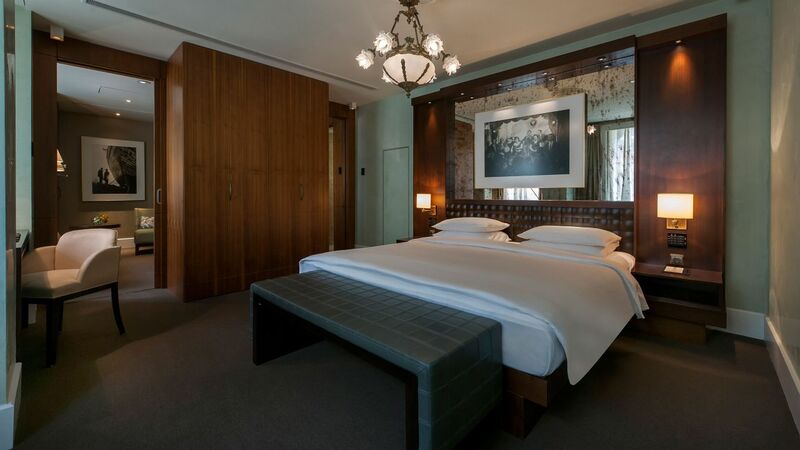 This 8th-floor, 70-square-meter suite is outfitted with two twin beds, work desk, minibar, and separate sitting area. The Turkish bath is appointed with a refrigerated cosmetics cabinet, deep soaking tub, and Dornbracht rainfall shower. This is a premium suite. See World of Hyatt program terms for upgrade eligibility. Inside this 44 to 66-square-meter room, you’ll find a king bed, work desk, French balcony with city views, a steam room, and a deep soaking tub. This 60- to 66-square-meter spa room features a king bed, a minibar, a Turkish Hammam, a steam room, a deep soaking tub, and a Dornbracht RainSky shower. This 44- to 66-square-meter room features two twin beds, a work desk, a steam room, a deep soaking tub, and a French balcony with city views. This 38- to 41-square-meter room offers a king bed, work desk, French balcony with city views, minibar, a deep soaking tub, and Dornbracht shower.